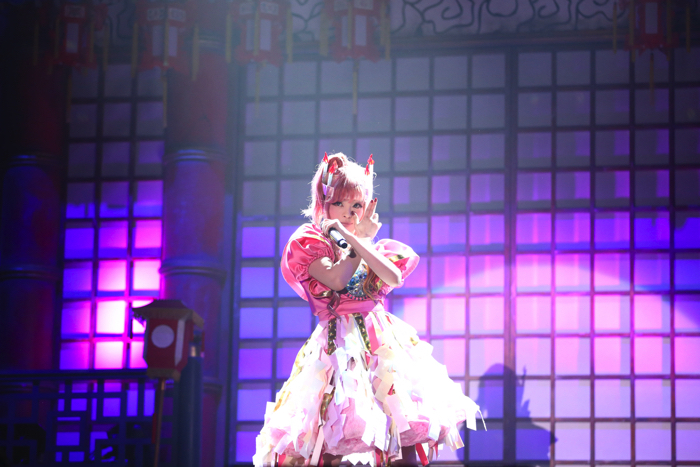 Kyary Pamyu Pamyu’s Pumpkin Live Concert to Air on BS SKY PerfecTV! It has been announced that the October 29th date of Kyary Pamyu Pamyu’s first ever two-day Halloween solo concert Kyary Pamyu Pamyu Pumpkin Live 2017 “THE SPOOKY OBAKEYASHIKI～PUMPKINS STRIKE BACK～” held at the Tokyo Metropolitan Gymnasium will be broadcast on BS SKY PerfectTV in Japan on December 24th at 14:30. Kyary Pamyu Pamyu’s first Halloween solo concert was held twice on Saturday October 28th and Sunday October 29th at the Tokyo Metropolitan Gymnasium. 15,000 fans packed the venue across the two day period for the show, which was created by Masafumi Nishida, a writer and producer who has worked on dramas, movies, anime and more. 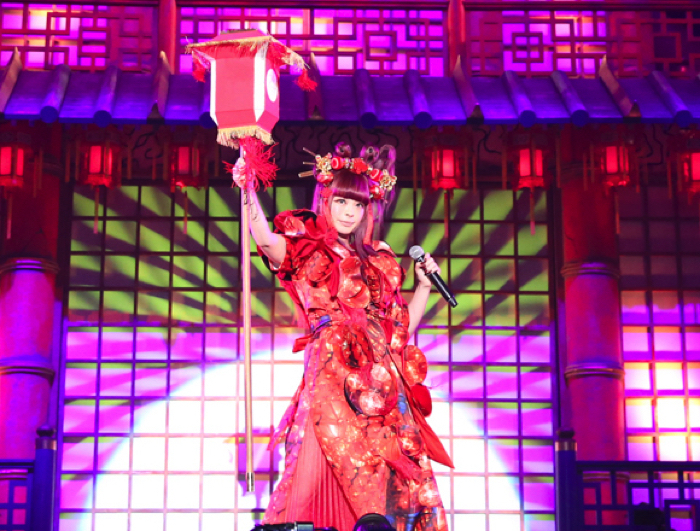 Kyary’s spooky Halloween world was brought to life at the live shows with the theme of a Japanese-style haunted house. 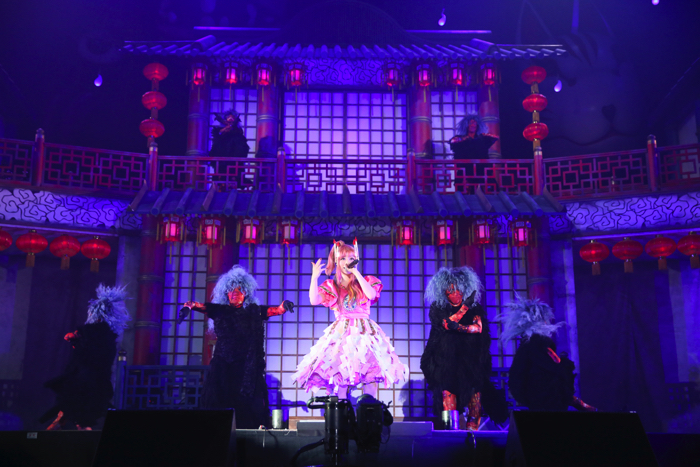 The spectacular stage set the tone for Kyary’s Halloween themed story, an immersive performance that was like watching a musical. 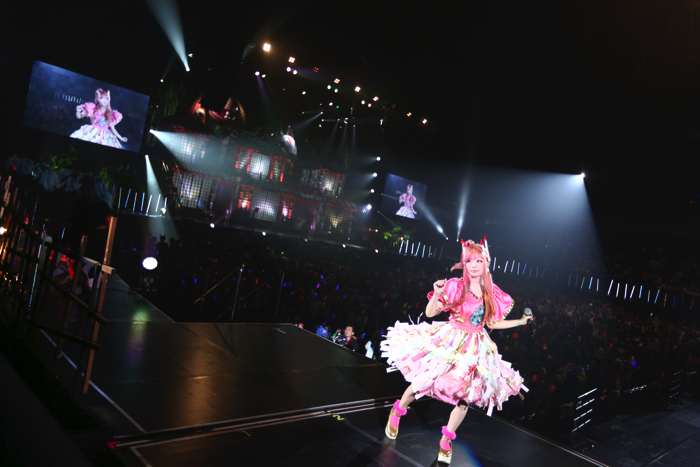 The outfits also took Kyary’s Halloween world to the next level, the kind of clothing you can only hope to see during the spooky season. Kyary demonstrated her cool factor by challenging herself to new skills, surprising audiences with her breakdancing abilities and even performing a back flip! Catch her sensational performance on December 24th and relive the memorable night. The show is free to view for people registered with SKY PerfecTV! or the pack set.